What is a skinning knife? 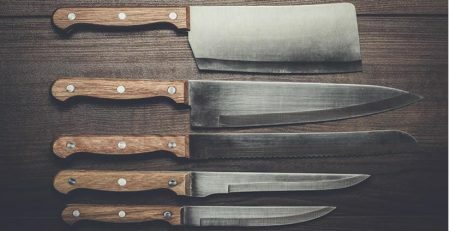 If you are a butcher or hunter and you are looking for the best skinning knives in the marketplace, this article will show you the only the best ones, which I’m using for years and tested myself. I’m going to write some more information about the skinning knives in general as in my opinion it is extremely important before you buy a knife to know what type of blade, handle, material etc. do you need. In general, good skinning knives are made to skin animals with less effort and to minimize the flesh damage while skinning animals. This type of knife has a unique blade, which is intended to separate meat from animals skin without hassle. Thus, it can reduce the risk of damages on the basic muscle or intestines. If you need to skin a deer or other animal, this should be your choice. Skinning knives aren’t designed to perform many tasks as a multi-purpose product. You can say that this knife is only for butchers and hunters. Overall, it can perform an amazing task of skinning meat in a precise manner. There are many considerations that you should think before you decide. The choice can depend on the type, size, handle, blade design, material, and price. Here are some details about each point depending on what you need. You can either choose folding blades or fixed blades based on the type you prefer or on your needs. Like the names imply, fixed blade knife is a permanent blade. On the other hand, a folding knife has a hinge point. It means that you can fold it into the grip. People have different necessity, depending on their preferences. If it’s based on the type of the blades, each of them owns its pros. You can check whether they may suit your need or not. • It’s stronger than a folding blade and it’s perfect for heavy-duty cutting. • There are no moving elements so it’s more reliable and long-lasting. • It’s easier to clean than a folding blade. • You can carry it in your pocket due to its small size. • It has a good mechanism. • It’s suitable for butchers and hunters. Speaking of the size, you can choose based on the size. Big knives aren’t too practical for hunters. It’s difficult to control while performing the task. Size is a personal matter so you need to consider your preference, though. If you need a bigger knife for skinning a deer or other bigger animals then sturdy and bigger knife can suit. The most important thing is that you can grip the knife comfortably. In the term of comfort, the handle becomes an imperative consideration. 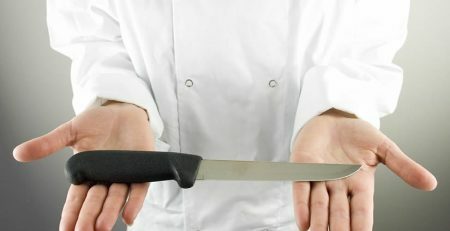 Like butcher knives, a good handle or grip will determine the safety of the knife. You should choose your one with a finger stop and guard on the handle. These protections will prevent accidents during the skinning task. You can test the handle quality by feeling in your hand. It is bad if you can’t feel the comfort when handling. If the handle is too small, it may cause discomfort to your hand. It can also make your forearm tired. Skinners with a big handle are usually hard to control. In summary, a knife with either too big or small handle isn’t a good choice. You must pick the one that gives the most comfortable feeling to your hand. The design of the blade comes as the next consideration. Perhaps the choice is quite different from professional butcher knives. Most good skinning knives provide some blade designs including clip point, drop point, and skinning. Each of them offers distinct benefits for users. If you only hunt big animals, you can choose a drop-point blade. It has a thicker blade with curved shaped. It’s stronger than regular knives. This type is best knife for skinning big deer because you are able to use the whole edge. Thus, the skinning job becomes faster and easier. In summary, a drop-point blade is more preferred than other designs especially for the hunters. In the terms of material, you can choose many options including S30V, 154CM, VG-10, or 420HC. The first one is either rust or wear resistant with an incredible toughness. It uses high-quality vanadium steel as its base material. The second one includes stainless steel with an amazing hardness and wear resistance. VG-10 has similar quality with 154CM, but it has better resistance against corrosion. It’s also superior in the terms of edge retention. Another choice is 420HC. You need this one if you look for a great knife with an incredible corrosion resistance and a lower rigidity. It means that you can sharpen it without hassle. It’s just like with anything else. You need to spend more to get a high-quality product. The price depends on the material quality and the functionality. The brand of the product also affects the numbers. In the market, you can find various skinning knives with different price range. You can get an affordable price on the online stores as there are many discounts offered by the sellers. Final Verdict And My Favorite Top 5 Skinning Knives. This particular knife is compulsory for every hunter. Since there are many products out there, this is the right one. The knife is suitable for those who love an adventure and hunting. The blade length and shape are just perfect for an outdoor use. Moreover, it has a good aesthetic appearance. Here’s my review about the knife. • The knife comes with 3-1/8” blade. It’s retentive and strong. • It weighs 5.2 oz. • The manufacturer provides a lifetime warranty! The basic use of this knife is for outdoor skinning. It provides an effortless trimming and prepping, too. It is a good knife for either beginners or experts. The razor is also sharp and handy. Regardless of the animal, this one shows an incredible performance. As a hunter, I used to work using the Buck knife and I was never disappointed. Usually, I clean Buck Knife by hand. I don’t want to damage the blade. Dishwashing isn’t a good option. That may ruin the surface of the knife and the blade. The safest way to clean the knife is by hand washing. The cleaning process doesn’t take much time. I only use a wash cloth and a soap. Even though the knife comes with a lifetime warranty, you need to take care of it. A regular maintenance and cleaning are compulsory. The blade is made of high-quality steel. It’s both durable and precise. In order to retain its sharpness, you need to perform a regular sharpening. Here’s the best thing. The knife doesn’t lose its quality after years of sharpening. Moreover, I you have the lifetime warranty. The prime reason, why I choose this knife is due to its quality. Also, it has a fine edge with a good balance. I can perform an efficient skinning on deer, rabbit or any other animal. There are other skinning knives with a bit cheaper prices out there. However, these may not give a satisfying result. I prefer quality over price. This way, I can handle thick meats easily and I don’t have to worry about the warranty, which gives me a lot of comfort. I personally bought Buck Knives Ranger Skinner because I needed a good quality product that would last long and that I could do a field dressing. I’m impressed with the sharp blade and a lifetime warranty. Not to mention that it comes with excellent leather sheaths. I had no problem in cleaning the knife as well. In my opinion this is one of the best skinning knife for hunters. Sani SB12 has a comfortable handle and it can fit your hand well without any slip. Although it seems conventional, it offers more than just functionality. The knife comes with a reasonable price and a good shape. It’s perfect for skinning large animals without hassle. Sani SB12 is made of tough material with an excellent sanitary. It’s slip-resistant and textured well. Don’t worry as you don’t need to perform troublesome efforts to clean this item. Also, the knife comes with a comfortable handle that can withstand bad temperatures. The blade handle has passed the sanitary qualification and it’s safe to use. The knife is stain-free and it’s perfect for commercial cuttings. It’s made in the United States with a certification of NSF. You can use Sani SB12 to many things. It’s more durable than many butcher knives as you don’t need to sharpen it soon, even for months. It’s also quite useful for trimming extra fat from bulky pieces of meat. The blade has an excellent quality that may hold the edge well. It’s just good for commercial cutting purposes. How to clean this knife? A proper care is important to preserve the quality of Sani SB12. You don’t need an intricate equipment to clean this knife. Both oiling and cleaning the knife can be done after work. In the end, your knife will be more long-lasting and more effective. The best way is to wash it carefully in the sink using a soap. A fading shine and dull blades are the signs of an untreated knife. You don’t want to see those conditions. Thus, you must maintain and clean the knife in a proper manner. The lifetime of Sani SB12 depends mostly on the usage. The manufacturer provides 2 years warranty for the item. In the terms of quality, Sani SB12 isn’t disappointing at all. It’s quite efficient for skinning animals. Also, it has both a good material and handle. Overall, this item is suitable either for indoor or outdoor uses. Sani SB12 doesn’t cost much. It’s considered to be an affordable product in the market. If compared to other items, the quality is a still good. With such price, this knife will be a favorite choice among buyers. I’m using this knife for almost three years and it still looks and cuts like a new – of course I’m maintaining the knife properly. The handle is made from polypropylene and it fits very well in my hand. The blade holds an edge very well. One of my favorites skinning knives in this price range, which I’m highly recommending. Over time, both technology and consumers have altered. Victorinox curved blade has gained popularity as the time goes by. It’s a reliable item which people can rely on. The knife has an advanced design, functionality, and material, which makes it a perfect companion for hunting or butchering. The brand has gained a quite name itself. There are many consumers who trust in the quality of this product. It’s an excellent item to skin beef, hogs, moose or deer. It can be used either in the indoor or outdoor. The blade is sharp and it’s well balanced. In order to preserve your knife’s efficacy, a proper maintenance is required. It’s your asset and it requires cleaning too. Regular washing is sufficient to keep away the unwanted elements of the blade surfaces. If necessary, put some oils on the knife for better result of cleaning. 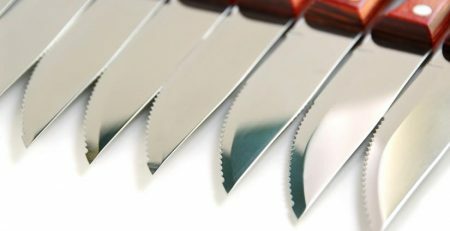 You can read information about how to clean butcher knives with proper techniques right here. Victorinox can last for years with a proper care. Usually, the manufacturer provides a warranty for this product up to 1 year. You can buy the product in an affordable price. It will be even more affordable in the online stores including Amazon. I bought this knife in 2010 and I skinned so many animals that some of my other knives would just not make it. 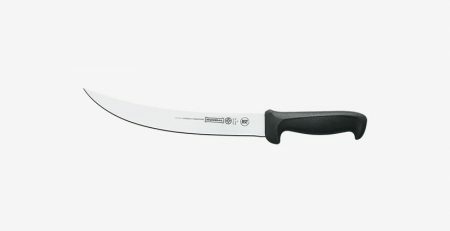 The size of this knife is perfect for skinning beef, deer, moose or hogs. However, I don’t really use it for small animals because it’s too big. For me as a professional butcher this item is a ‘must’ to have it in your collection. Technology has changed everything. The skinning blade isn’t an exception. Victorinox Lamb Skinning Blade has been an essential tool these days. Victorinox becomes an icon of skinning and boning knives. Why is that? There have been many good experiences in using this brand. That means customers are satisfied. In order to learn more about the knife, I want to give a brief review below. The knife is ideal for skinning a lamb, but also other animal such as deer and so on. It makes the entire process effortless. It brings a significant difference during meat skinning. Not to mention it provides a great control over the handle. The user can even perform a skinning process to a whole lamb. The resistant handle makes it more comfortable to use. Even beginners can use it easily. Victorinox Lamb Skinning Blade is a simple and useful knife. It doesn’t take much effort to clean it. Since it is dishwasher safe, I don’t need to worry about anything. However, I prefer a hand washing method to dishwashing. It’s less risky so I won’t damage the knife while cleaning. I want to preserve it as long as possible. Naturally, the knife can last long. It’s made of good quality steel. As long as I take a good care of it, I can use it for years. It’s a durable and strong knife. One of the reasons to choose Victorinox Lamb Skinning Blade is the toughness. It helps with the toughest job. The knife also comes with a carved construction. I can use it for meat skinning and processing. For the price you will get a good function and durability. I only need to perform a regular maintenance such as cleaning and sharpening. It doesn’t take much time and effort. I have been using Victorinox Lamb Skinning Blade for various things. These include outdoor, farm, and home uses. I often used the knife to butcher hogs and beef. I love it as it doesn’t wear out after lots of sharpening. The back of the knife is strong as well. Overall, it’s a really good item worth the money. There are many skinning knives in the market. However, Ontario skinner provides a distinct feature than others. In the terms of appearance, this knife has the ‘Old School’ design. The manufacturer also has earned a good reputation among people all over the world. This isn’t a junk product as it gives a satisfying cutting quality. The knife offers a good durability for hunting. Butchers will love this knife as it works nicely for skinning all types of animals. Basically, the knife will suit any skinning tasks. You can save much time with this famous knife. The blade is sharp so you can skin both hogs and deer easily. It’s functional for the kitchen too. For hunting purposes, you need to buy a good cover for the knife. It’s for the sake of safety during the adventure. A regular cleaning will be necessary to preserve the quality. You should wash this knife in the sink using cloth and soap. You have to remember to dry the handle after washing as it may cause cracking and damages to the wooden material. Also, don’t use harmful detergents and soaps to clean this knife. It can be long-lasting and effective as long as you don’t overlook the cleaning requirement. 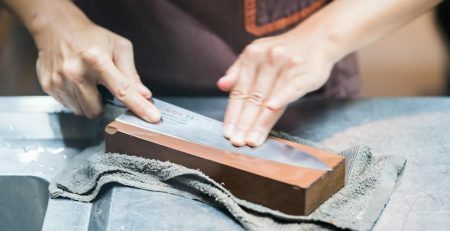 Sharpening is necessary to make the knife as sharp as new. In the terms of the warranty, it’s 1-year guarantee for some parts of the knife. Overall, the quality is really good and the knives are made in the USA. Why is this skinning knife? Ontario skinner has very affordable price. The handle is quite good and solid. It means you get the quality without spending much money. I know it will sound strange, but this is one of the cheapest knives I ever bought. I love Ontario knives and I have a lot of them in my collection. The price is so amazing that I got a few of this knives and I would buy them even if the price would be twice more expensive… I have this knife for almost 3 years now and though I used it sporadically it’s still in a good shape. I was working with this knife on all type of animals and the work was just a pleasure. It’s made in USA and once you care about it properly it will last for long years. I prepared for you comparison table with all the best skinning knife reviews I introduced in this article. You can compare the knives using different factors such as price, rating etc. By clicking on any of the link you will be taken to the actual review of the product and from there you can click the button to buy the knife. Hi Greg – thanks for all the information. I agree with your top choice – I’ve used an almost identical one here in the UK and find the overall shape and feel to be perfect. Whatever knife people eventually choose the one thing I would reinforce is the importance of the grip. Things can get a bit messy and losing control of the blade due to a slip could be dangerous to the user! I dropped a knife I was using once and by reflex action caught it instantly – by the blade! That needed some stitches to put right. Grip is important! Thank you for your comment and visiting my site. Great to hear that you use the same knives! Regarding the grip – You’re absolutely right! I cut myself so many times in my career as a butcher – especially when I was young 😉 – and now, I put a lot of attention into safety. Wow! This is awesome, so informative, great review, really gives me a proper insight into the product I’m after! Thank you so much, I look forward to seeing more posts from you, Tyson. I’m glad that you like my review and I hope that I helped you to pick the right skinning knife. Man, I’m a huge fan of knives, and especially of Buck Knives. I have one from the factory in Post Falls, Idaho given to people taking tours. That Ranger Skinner Hunting knife looks sweet! This is one thorough post and I feel extremely informed. I’d say I’m a little “sharper.” Thanks for offering some guidance here. Yes, the Ranger Skinner is one of the top hunting knives on the market. Actually – in my opinion – all Buck Knives are in the top, but with so many different types and uses, it’s better to learn about the knife first to know that it will fulfill the user requirements. Thanks again for your kind words Brandon. Hello! I definitely have a pull towards the Buck Knives Ranger Skinner Hunting knife. It will certainly be in my consideration the next I need to buy a knife. I personally hunt and used to raise rabbits for meat slaughter for home consumption. The way I taught myself to skin though was to preserve the skin and meat as much as possible as I have an interest in brain tanning. (Still hung up on the fleshing part of that and keep nicking the hides open). Super thank you for suggesting these knives and I definitely know I will be back closer to hunting season to order a new skinner since it is past time to retire my old beat up 3 inch blade. First of all, thank you for your comment and that you shared your thoughts and your way of work. It looks like you know what are doing so I’m more than happier that you liked my review and you found it useful. If I could ever help you with anything, please let me know. Amazing page with loads of very useful information! Glad to be able to see the comparison of similar products in a table and know I will certainly be back to order a new skinner knife when it is closer to hunting season in the fall. The Buck knife ranger skinner is the one I am most interested in. Everything about that screams useful and quality to me backed by a personal review by yourself. Thank you for sharing your knowledge! I’ glad you like my site and value my reviews. I will add more reviews on skinning knives so closer to the hunting season you will have a much bigger choice. The Buck Ranger is not only the most popular, but also one of the best skinning knives in this category so great choice! As neither a butcher nor a hunter I have never used a skinning knife before. However I would like to add this knife to my collection. It is really interesting to get your experienced opinion and considerations for when you purchase a skinning knife. I assume you are a hunter or butcher? What animals do you most commonly skin? Professionally, I’m a butcher for over 20 years, but as my hobby I also love to hunt. In my long, long career I processed thousands of animals (pigs, cattle, deers, lambs, chickens, elks and many more). Lately, I skin a lot of deers and cattle in general. I can’t imagine not having a proper skinning knife. I hope you get the right one for your needs. If you need any more help with your choice, please let me know and I will do my best to help. I have never skinned an animal before but I definitely have broken pieces of them down when I worked as a cook. if there is one thing that I learned is that it really helps to have the right tool for the job and that Buck Knife looks right! If nothing else that knife just looks fantastic! Yes, the Buck Knives are fantastic and thats my favorite brand if we are talking about hunting/skinning knives. However, I used so many different types for different purposes and I also have other types that I love. It all depends what you need to do with the knife. Wow, those are really in-depth reviews! I’m not a hunter myself, but come from a family of hunters. I’ll share these reviews with my dad, father-in-law, and brother. They will all find them very useful. One question though, do you recommend a certain type of skinning knife for small game? My dad and brother raise beagles and rabbit hunt. I’d imagine a knife used for skinning a deer, might not be as practical for skinning a small animal like a rabbit. Thank you for sharing my review. For small game, I do recommend the Buck Knives Ranger Skinner Hunting. It’s a knife that is getting some phenomenal reviews. I personally use that one to skin small animals and it would be hard to find a better knife for this type of job.